Facials. They are the ultimate 'treat yo self' for relaxation and escapism. I love a spa day or even just a couple of hours. It feels like I'm looking after myself and taking care of my body (and hopefully future proofing it a little bit). The W London hotel in Piccadilly is somewhere I know as a great place to start an evening off. They have a gorgeous swanky bar and it's such a great location to explore London's nightlife. However what I didn't know was that they have an award winning spa a few floors up called Away. The main spa waiting area is bathed in s soft glow and on arrival I was shown to a huge sofa for tea or herbal water. 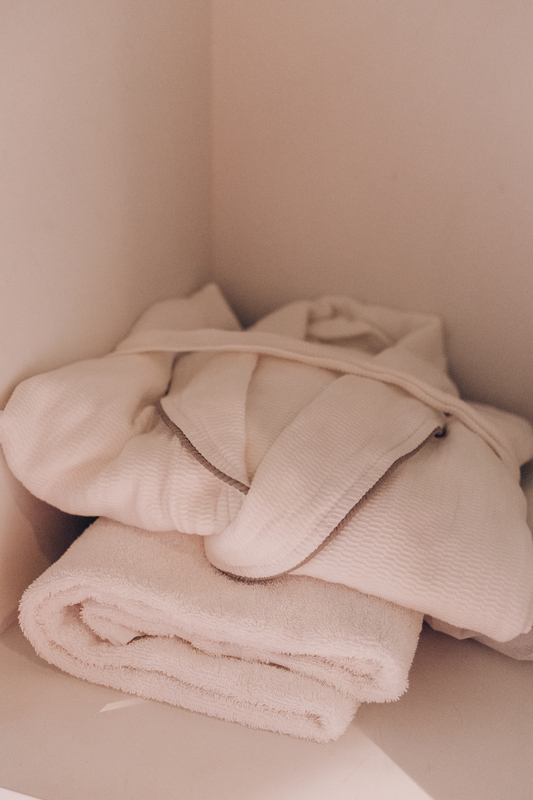 You can take as much time as you need to just chill out but once you feel ready, just head to your locker and you'll find slippers, robe towel. So what was I here for? 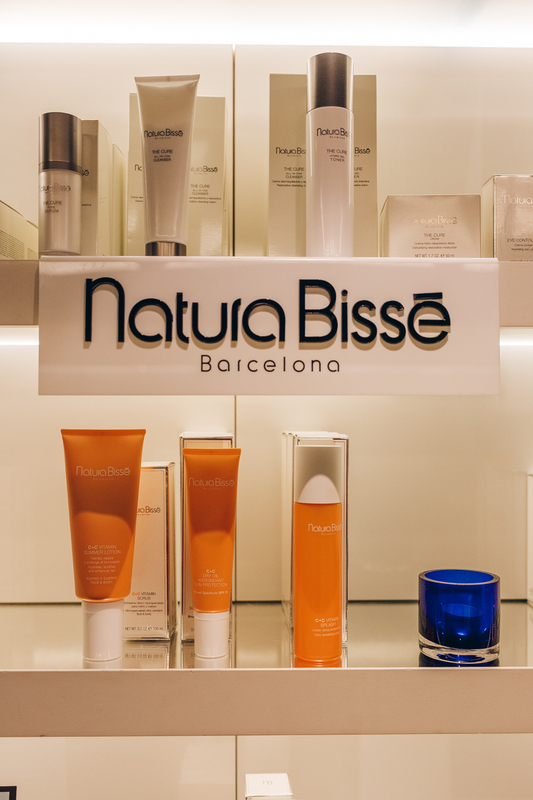 Well I'd booked in for their new ritual from Spanish cult-beauty brand, Natural Bissé. As we are fully in Autumn now and the weather has turned (my gosh it is cold in an evening now! ), the spa is all about promoting vitamin C which has long been heralded by dermatologists as a the gold standard of beauty ingredient. So what is a ritual I hear you ask? Well it's essentially both a massage and facial however it's really more than that. 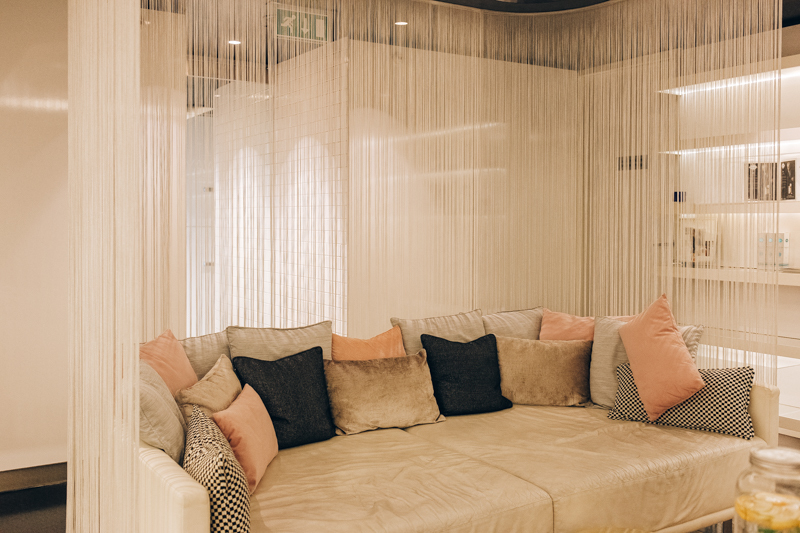 First they start with a Lomi Juma type massage using Natura Bissé revitalising, firming C+C Vitamin Aroma Balm aimed at alleviate built-up tension working through all those knots you may have from being hunched at a desk all day. Then comes a tolerance enzyme peel which contains extracts of prickly pear and concentrated papaya, as well as a gentle C+C Vitamin Scrub to help renew your skin and give it a gorgeous glow- much needed in this cold snap we are having. The C+C Vitamin Ascorbic Acid Concentrate is then applied which is all about treating any sun damaged and mistreated skin, followed by a Shirodhara Diamond face and neck massage and finally the ritual is rounded off with a soufflé-like C+C Ascorbic Facial Mask to further repair and protect your skin against the first signs of ageing and the busy city life. 80 minutes later I emerged, and emerged on cloud nine I tell you. It was probably one of the best massages and facials I've had in ages! So first of all, my therapist was so lovely. I think that's really important as a spa is about relaxing and unwinding from daily stresses. She was incredible sweet but also listened to what I wanted. I like my massage firm and to get out those knots. Dig deep on my back. Yet so many times when I've marked firm on spa forms, its been too soft and gentle even after me saying. But here, I said I had lots of knots and boy did she work on those! It was so good, I could feel the tension go from my shoulders. Honestly it was one of the best I've had in a long time. Then came the facial. The products above on the tray? 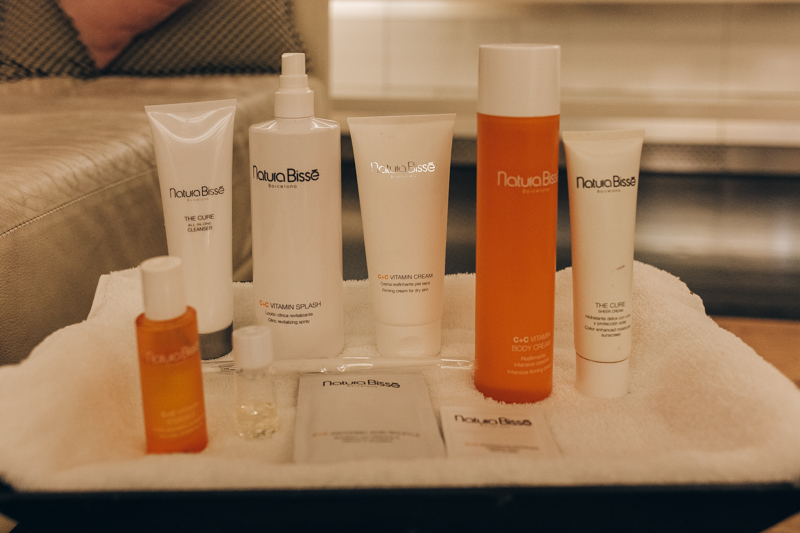 Thats all the products used in the facial. 9 products! 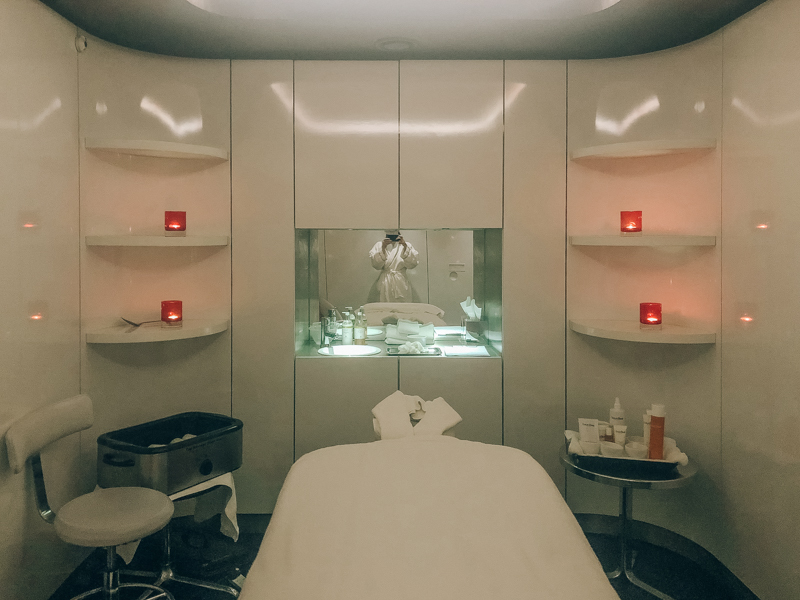 It was incredible compressive and again she didn't just swish the products on lightly, no, where appropriate she's massage in and the firmness increased and decreased depending on the area of the face. 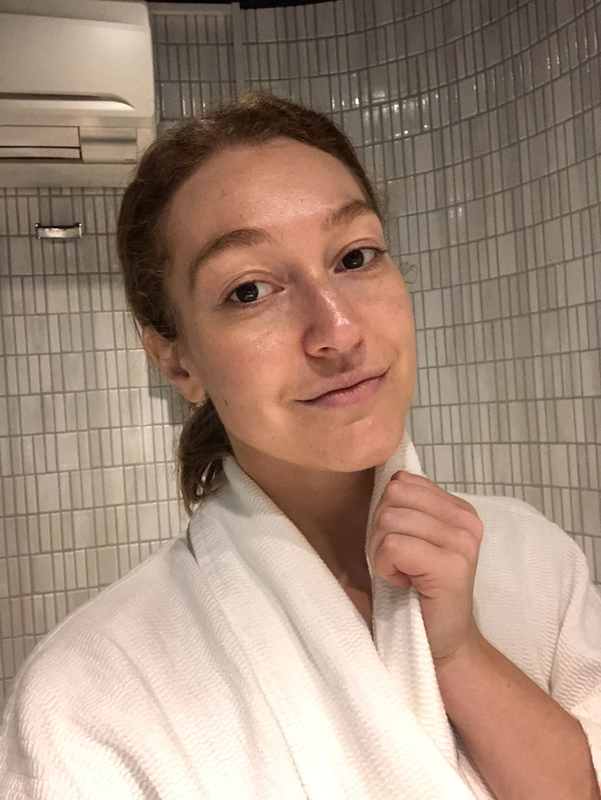 It really was an fantastic relaxing facial, yet I just knew it had purpose. And here is the result of my facial. Thats without any makeup on or any filter or colour correction on the photo. My skin just glows! For days afterwards I was getting compliments that my skin looked fantastic. I'd highly recommend and so much so that I'll be booking in again as I can definitely see the benefits of this ritual over trying somewhere new for now. Pried £122 for 80 minutes. 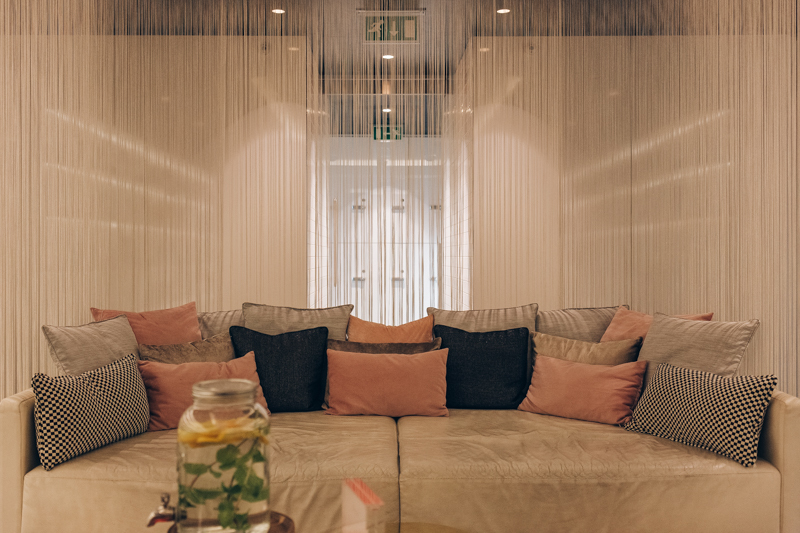 Exclusive to AWAY Spa London at W London Hotel.